It should be a no-brainer that a restaurant co-owned by a cardiologist would offer some heart healthy menu options. 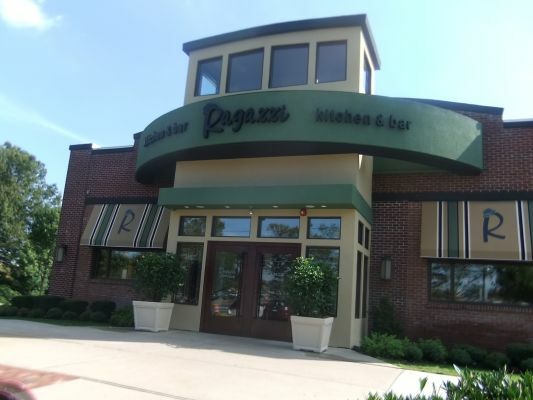 Such is the thinking behind Dr. Salvatore Trazzera’s new list of dishes at Ragazzi Italian Kitchen & Bar in Nesconset. “Dr. T’s Heart Healthy Menu” follows guidelines from the American Heart Association and is all about foods low in saturated fat, cholesterol, salt and added sugars, with an emphasis on fruits, vegetables and unrefined whole grains. Here are some dishes you can eat with a clear conscience: fresh vegetables with a roasted eggplant dip ($7), grilled lemon chicken with low fat yogurt sauce ($10) pasta puttanesca with whole wheat spaghetti ($12), and broiled flounder in a white wine lemon sauce over broccoli raab ($22). For dessert, there’s Greek yogurt topped with fresh seasonal berries ($6.50).